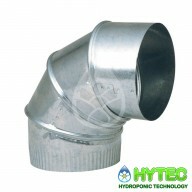 All the accessories and components you will ever need to make you grow room ventilation system as effective as it needs to be. 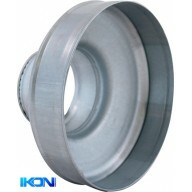 quick release clamps make easy work of connecting ducting to fans and ducting accessories 0-135mm/ 0-5 inch ..
quick release clamps make easy work of connecting ducting to fans and ducting accessories 0-150mm/ 0-6 inch ..
quick release clamps make easy work of connecting ducting to fans and ducting accessories 0-250mm/ 0-12 inch ..
quick release clamps make easy work of connecting ducting to fans and ducting spigot `d accessories 0-325mm/ 0-12 inch ..
With a Wall Flange you can securely fasten your Ducting up to a hole in a wall. 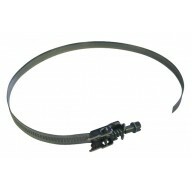 ..
BUDGET FAST CLAMPS 4 INCH Fast clamps suppress vibrations and ensure a tight fit with Systemair fast clamps. 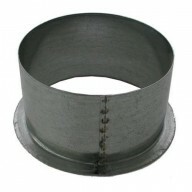 High quality clamps with a thick 8mm neoprene lining to obsorb vibrations and sounds and ensure a tight fit,even if theres a small difference in size The mounting clips also feature ..
DUCTING WALL FLANGE 4" (100MM) Wall Flanges allow you to connect ducting to a hole in the wall, providing air flow from the room to any area. 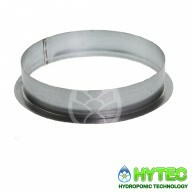 This one has a 100mm diameter . 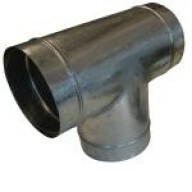 ..
DUCTING ELBOW 4 INCH If you need a tight bend use solid ducting Flexible ducting bent tightly can cause huge resriction of air flow manufactured from high quality galvanised steel ..
BUDGET FAST CLAMPS 5 INCH Fast clamps suppress vibrations and ensure a tight fit with Systemair fast clamps. 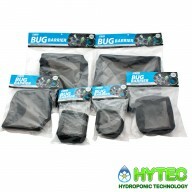 High quality clamps with a thick 8mm neoprene lining to obsorb vibrations and sounds and ensure a tight fit,even if theres a small difference in size The mounting clips als..
RAM Bug Barrier This handy product offers superior protection against bugs while having a minimal restriction on airflow. The plastic mesh bug screen easily slips on and off fans and ducting. Elasticised opening and adjustable drawstring create a perfect fit. Catches insects, mould and ..
BUDGET FAST CLAMPS 6 INCH Fast clamps suppress vibrations and ensure a tight fit with Systemair fast clamps. High quality clamps with a thick 8mm neoprene lining to obsorb vibrations and sounds and ensure a tight fit,even if theres a small difference in size The mounting clips als..
DUCTING ELBOW 5 INCH If you need a tight bend use solid ducting Flexible ducting bent tightly can cause huge resriction of air flow manufactured from high quality galvanised steel ..
BUDGET FAST CLAMPS 8 INCH Fast clamps suppress vibrations and ensure a tight fit with Systemair fast clamps. High quality clamps with a thick 8mm neoprene lining to obsorb vibrations and sounds and ensure a tight fit,even if theres a small difference in size The mounting clips als..
​ 100mm/4" Combi Ducting 5MTR A 4 layer multi-laminated construction with an encapsulating high tensile steel wire helix that ensures strength and durability. 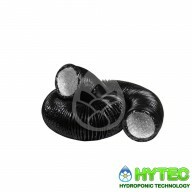 The black PVC outer is totally plant safe and a strong vapour/light barrier ensuring extra air tightness over standard alloy ducting..
RAM Combi-Duct Lightproof Ducting - 102mm A 4 layer multi-laminated construction with an encapsulating high tensile steel wire helix that ensures strength and durability. 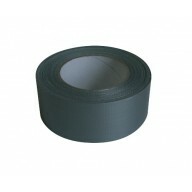 The black PVC outer is totally plant safe and a strong vapour/light barrier ensuring extra air tightness over standa..
BUDGET FAST CLAMPS 10 INCH Fast clamps suppress vibrations and ensure a tight fit with Systemair fast clamps. 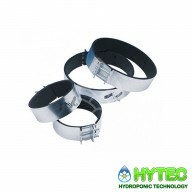 High quality clamps with a thick 8mm neoprene lining to obsorb vibrations and sounds and ensure a tight fit,even if theres a small difference in size The mounting clips al..